Our Lake Garda Downwind Clinic will concentrate on the art of sailing downwind in a Laser, which is what separates the men from the boys… SailCoach prides itself on our ability to improve downwind speed, you don’t have to be the most gifted sailor to understand what makes a Laser go fast downwind. After you have that understanding the rest is practice, practice and more practice. We give you this under the watchful eye of our coaches and with the help of video analysis you can see where to improve upon your downwind technique. 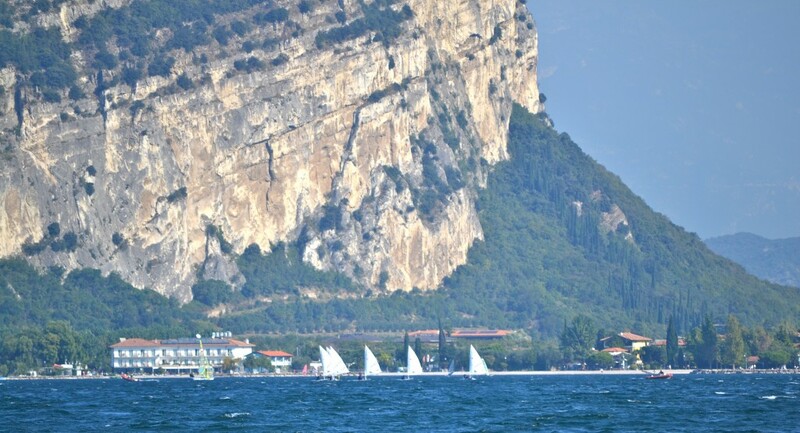 We run this clinic on Lake Garda as it offers the opportunity to sail down the lake with the Pelér wind blowing from north to south early in the morning. Then we sail back up the lake in the afternoon with the Ora wind, which blows from south to north. In this clinic we will focus completely on downwind, so make sure you bring a towrope for those long tows back home If the afternoon wind does not fill in!